Cognitive / Can music benefit your toddler more than reading? A new study found that regular informal music–making with your little one may even have benefits above and beyond those of reading. But there’s an important, interesting catch: for best results, shared music-making should be done at home. Which means typically that, instead of playing something for your baby, you (the parent) should get involved in the process –essentially making it a playful social experience. A team at the University of Queensland gathered information from more than 3,000 children and investigated the associations between informal home music education of very young children and later cognitive and social-emotional outcomes. The team found that informal music-making around the ages of 2 and 3 can lead to better literacy, numeracy, social skills, and attention and emotion regulation by the age of 5. Simple and fun musical activities can have a huge impact in developing numeracy and literacy skills. For example, you can try to improvise a counting song, or make up new rhymes to familiar tunes. The true power of musical play lies in the unique blend of creativity, sound, and face-to-face interaction. The learning is strengthened by its basis on a positive, empathic emotional relationship. 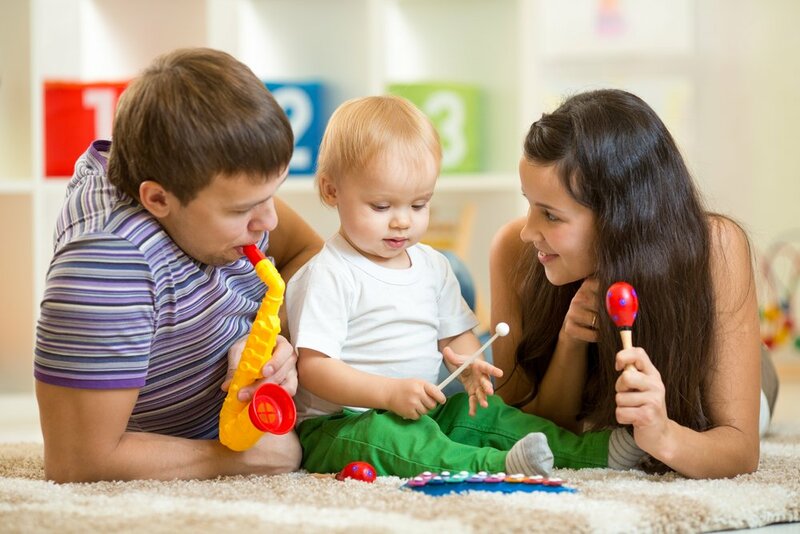 This research invites parents to focus on the element of “playing” music with toddlers, using any tools at hand.